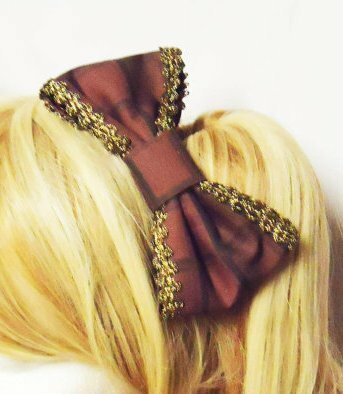 2-way hair clip with a chocolate pattern. Bought new and never worn. The real colour is a little bit lighter than the one in the stock picture. Please see my own images for reference. Width is about 13 cm.